Nutrite Hair Transplant Effects of Holi Colours on Hair & How to Cure it? Holi is an auspicious event to celebrate the festival of colors with friends and family and enjoy a lot. Attractive rainbow colors are used to spray and sprinkle on one to another to share the happiness. Unlimited fun and entertainment are initiated with the wide use of colors in modern dudes. It is good to follow the traditional cultures, but you should notice if any problems are expected in following the rituals. You should know the Effects of Holi colors on hair and body and take precautions to finish the events successfully. The Holi is celebrated in outdoors which causes the effects of sunlight on body and hair. Precautions must be taken to not let the hair and body dry and rough. Eyes and face are the most sensitive areas which get immediate reaction towards the colors used in Holi. Earlier, the Holi colors are prepared from natural sources like flowers, leaves, and fruits of plants. The organic colors do no harm to the human and offer no side effects. Nowadays they are preparing using chemicals and cheap substances to make them affordable and to spread the usage. These are so harmful to the hair and it gets affected immediately leaving so much loss. Hair loses its texture due to the extensive use of Holi colors in powder form or liquid form. The chemicals of artificial colors destroy the upper layers of hairs making them rough and dry. The scalp also gets affected and the tissues become sensitive. Hair follicles get damaged due to the chemical application. The growth of hair is affected by the sensitive scalp and chances of allergies get raised. It is possible to lose the shining and healthiness of the hair. Splits at the hair ending, hair falling, and appearance of patches are also possible in this case. Usage of conditioners and oils may give temporary effect, but not stop the permanent change. Holi colors can lead a severe hair loss leaving a low density of hairs on the scalp. It is better to consult a doctor as immediately as you notice such hair problems. A dermatologist can guide you to bring natural context to your hair if possible by short term treatment. Suitable medicines, oils, and supplementary products may be helpful to revert the problem. In case of patches or partial baldness causing permanent hair loss, the innovated methods of hair transplant are better to obtain hair growth. Celebrate Holi honestly with your lovely family and friends without any complications. Use homemade colors or purchase organic colors from the market to avoid any damage or side effects on hair and body. In case of the resultant side effects on hair, verify what type of doctor treats hair loss and how! 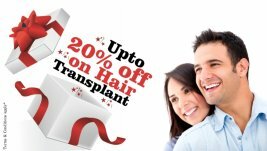 An expert doctor assists you to choose a beneficial treatment or you can visit Nutrite Hair Transplant Clinic which allows you to get lifetime happiness! !